Ecosystem accounting is a relatively new and emerging field dealing with integrating complex biophysical data, tracking changes in ecosystems and linking those changes to economic and other human activity. Considering the increasing demand for statistics on ecosystems within analytical and policy frameworks on environmental sustainability, human well-being and economic growth and development, there has been an increasing urgency to advance this emerging field of statistics. Although considerable experience exists in related areas of statistics such as land cover and land use statistics, the integration of these and other information into an ecosystem accounting framework is new. Also, there is considerable existing expertise in the ecosystem sciences and economics fields that is relevant, and again it is the focussing of these different areas of expertise on the proposed ecosystem accounting approach that is new. SEEA-Experimental Ecosystem Accounting provides a synthesis of the current knowledge in this area and provides a starting point for the development of ecosystem accounting at national and sub-national levels. 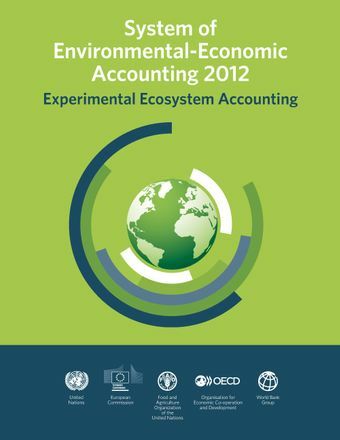 It represents an important step forward on ecosystem accounting, providing a common set of terms, concepts, accounting principles and classifications; an integrated accounting structure of ecosystem services and ecosystem condition in both physical and monetary terms; and the recognition of spatial areas as forming the basic focus for measurement.